Great to see Courtney Lawes back in the England side for this weekend’s showdown with Scotland in the RBS Six Nations championship. The combative Lawes is a brute around the rugby park, putting in spine-chilling and often try-saving tackles. Quick across the ground, the Northampton second row, who starts alongside Dave Attwood, is the sort of hard as nails enforcer who strikes fear into opponents. Under-rated by many, a man who doesn’t seek the limelight, but a great player who would be first on my team sheet every time. And back in the match day squad is his fellow lock, Geoff Parling, who will be itching to sort out the Scots – sure to emerge off the bench at some point. Lawes has recovered from an ankle problem that kept him out for ten weeks while Parling had been sidelined with a head injury. England v Scotland is the world’s oldest international contest and all is set up for an almighty battle between the foes. 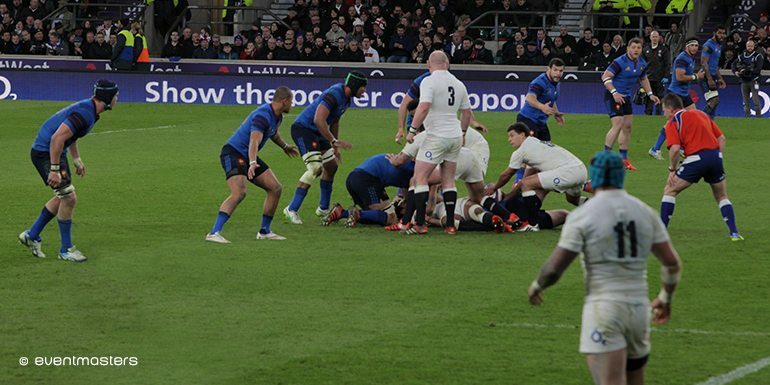 Both sides are reeling from defeats – England beaten by Ireland; Scotland losing humiliatingly to Italy. Both sets of players have had their backsides kicked by the respective coaching staffs. 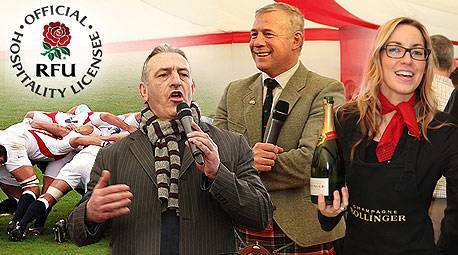 Throw into the mix ancient enmities, the failed independence vote earlier in the year, the continued cocky SNP bigotry … and there is going to be little love lost between the sides at Twickenham on Saturday. Bound to be plenty of banter between the supporters too with, I suspect, the VIP corporate hospitality tents will be bouncing as the pints and the drams are sunk! For England, the only other change in the starting XV sees the return of Mike Brown at full-back now that he has recovered from concussion. Lawes, aged 26, who made his Test debut in 2009, has been missed. “Courtney has matured as person and as a player,” said England forwards coach, Graham Rowntree. “You can’t hide what he brings for us physically. “He is back to his best. We have riches in our second-row resources at the moment with a lot of athletes there but Courtney is a special player. Parling is not far behind. Rowntree did not hide his disappointment at the performance in Dublin and promised a bounce-back from captain, Chris Robshaw, and his men. Scotland too are hurting – they have not won at Twickenham since 1983. But captain Greig Laidlaw insists there is no reason why Vern Cotter’s men should have an inferiority complex. Emotions are running high though, especially after team-mate Stuart Hogg slammed a lack of respect for Scottish rugby south of the border. Laidlaw made a similar point before the start of the Six Nations, based on the experiences of his first season with Gloucester, following his move from Edinburgh. Laidlaw also has two personal reasons for wanting to lead Scotland to what would be a famous victory. The first is to emulate his uncle, Roy Laidlaw, who helped his team to a Calcutta Cup win back in 1983. The other is to wipe out the memory of last year’s 20-0 defeat by England at BT Murrayfield when he arguably had his worst performance in a Scotland shirt. I expect him to be disappointed and, turning Flower of Scotland on its head, Scotland to be “sent hamewart, tae think again”.